B&B ARMR takes pride in providing our customers with superior perimeter security products to meet or exceed project requirements. Our focus on quality products, customer service and customer support continues to be the distinguishing features that continue to form the foundation of our growing business. Quality perimeter security products are critical to a facility's overall security solution. B&B ARMR not only has an extensive line of crash rated solutions, but has also built its company infrastructure and business processes to support the custom application requirements many facilities require. 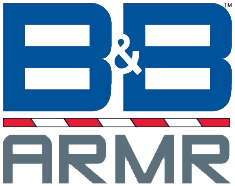 For further information on how B&B ARMR and B&B Roadway and Security Solutions can provide customized, cost-effective crash rated barriers and traffic control solutions, call us at 800-367-0387.
of the impact into the ground. Cantilever sliding gates and barriers provide a horizontal gate solution that does not disturb the existing road surface. These products are excellent where large clear openings need to be covered with no roadway modification. Crash gates and beams provide a solution where there is limited space on either side of the roadway. Bollards provide an aesthetic solution when vehicular protection is required with minimal obstruction to pedestrian traffic. in areas where excavation is not desired. Portable barriers provide a solution to enable movement of a barrier to multiple locations. These barriers are used where temporary security may be required and are redeployed with minimum effort. Vertical pivot gates provide a non-crash rated solution for perimeter entry points where a pedestrian fence is required yet space for a sliding gate is not available. B&B ARMR’s LXL Series Hydraulic Slide Gate Operators are designed for consistent and dependable operation of all styles of sliding gates in a variety of high cycle applications.